Author Archives: Airsystem Sales, Inc.
Are you compliant with OSHA’s new Silica Exposure Standard? Effective June 23, 2018, the new OSHA standard for Silica Exposure went into effect. This new standard requires all general industry companies to develop an exposure control plan (hazard plan) AND demonstrate how they will comply with the new Permissible Exposure Limit (PEL). Silica dust is serious business. OSHA means business as the new threshold is two to five times stricter than the previous limits. The Standard requires employers to use engineering controls, such as water, dust collection, and ventilation to capture airborne particulates and keep worker exposure below the PEL. Airsystem Sales can help you breathe easy. Our dust control experts are fully knowledgeable on the new OSHA Silica Dust Standard and can help you navigate your path to compliance. And most importantly, we can help you control and remove dangerous fugitive silica dust from your work environment providing a safe atmosphere for your employees. Please call us directly at (615) 373-0039 to discuss your needs. You may also contact us online, or at any of our locations around the Southeast. White Paper: The New OSHA Standard for Industrial Silica Exposure: Are you in compliance? AbsolutAire AA-Series direct-fired heating, ventilating and, make-up air systems are constructed from weather-resistant, heavy-gauge aluminized steel and have a durable two-coat paint finish for complete protection and sustainability. SIMPLICITY, ECONOMY, AND APPLICATION VERSATILITY. AbsolutAire’s AA-Series is designed as a “draw-through” heating and ventilating system. 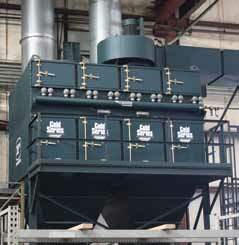 The burner combustion zone is located close to the intake/return air plenums, ahead of the blower-fan discharge plenum, allowing various discharge configurations without the use of duct work. Uniform airflow across the burner insures maximum fuel efficiency as well as constant air-delivery volume. With the combustion taking place before the supply fan, the air-delivery system can compensate for volume expansion as the air is heated. Other types of make-up air systems push air through the burner. These “blow-through” units have certain disadvantages in efficiency. 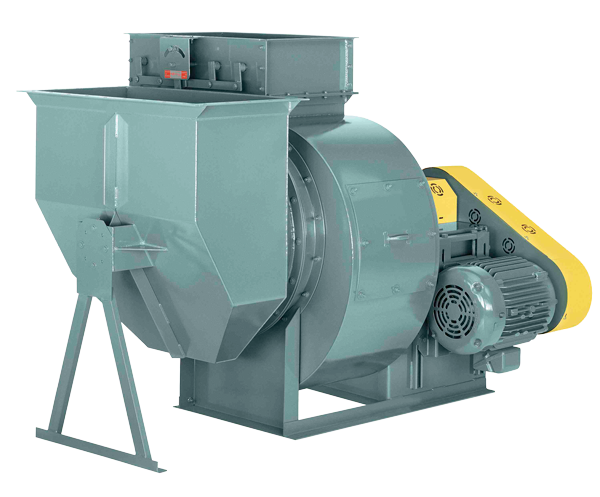 When the fan inlet temperature varies, the fan brake horsepower requirements will change. The blow-through designs will deliver constant air volume, but only if the discharge temperature is constant. If the discharge air temperature varies, the air volume will vary. This can possibly disrupt the balance of exhaust air and make-up air. AA-Series units are complete in every aspect, with all necessary gas and electrical controls included. Attractive standard features as well as numerous options and accessories insure maximum design flexibility and application versatility. With ventilation airflow rates up to 54,000 CFM and firing rates up to 6,000,000 BTU/HR,* the various model choices have become extremely popular over the years. Made in the USA: NYB Co.
Purchasing a fan, blower or any air mover, can be a lengthy process filled with lots of variables. That is why Airsystem Sales has forged a strong relationship with The New York Blower, Co. (NYB), a great company based right here in the good ole US of A. With a rich American heritage and US-based manufacturing facilities, NYB has become the industry-standard for reliability and quality. 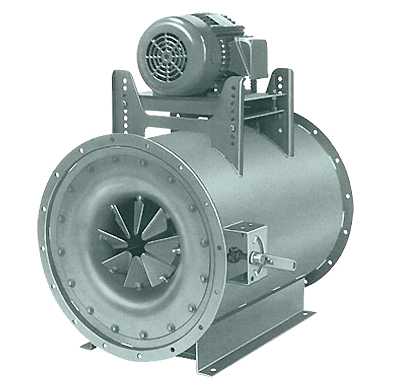 The New York Blower Company has the experience, knowledge and technology to produce what engineers and machinists agree to be the most durable and efficient industrial fans and blowers. NYB is certified and compliant with the ARRA, and is a charter member of the AMCA which was founded to establish test standards for air moving equipment. Because of ASI’s unique relationship with NYB, ASI is perfectly positioned to deliver the services you expect in a timely manner. Elevate your expectations when sourcing your next project. We never make promises we know we can’t keep. Some people might call that approach an obsession; we call it our commitment to you. Call us today at 615.373.0039 and ask for more information about NYB equipment and supplies. With over 60 years of combined experience on hand, Airsystem Sales, Inc is proud to host this limited-seat seminar. Experts will discuss air pollution control devices, teach hands-on hood and duct construction, and perform on-site demonstrations of actual fans and dust collectors. And don’t worry, there will be plenty of time for Q&A! Attendance is limited to 50 participants, so register today! Is my company at risk? 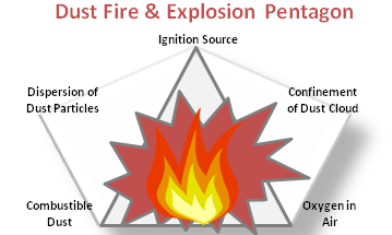 There are several materials that can produce combustible dust; they include wood, plastics, coal, sugar, paper, soap, dried blood, certain textiles, and metals (such as aluminum and magnesium). With such a wide array of materials that may need combustible dust remediation there in turn are several industries that have such combustible dust materials in their facilities. Some of the industries include; pharmaceuticals, tobacco, fossil fuel generation plants, coal, pesticides, furniture, wood, paper, grain, food (e.g. sugar, candy, flour, feed, etc. ), dyes, metals (e.g. iron, aluminum, zinc, chromium, and magnesium), chemical, plastics, durable goods, and rubber. In 2007 OSHA put in place its Combustible Dust National Emphasis Program (NEP) to inspect facilities that produce combustible dust and pose the potential threat of a dust explosion. NEP focused on 64 industries (SICS / NAICS) including many of the aforementioned industries. The NEP inspections found an average of 6.5 Federal Violations per facility compared to other facilities (non-combustible dust handling facilities). Some of the common findings were improper house keeping of the combustible dust and the use of compressed air by the facility’s staff to clean the combustible dust which could lead to a dust cloud and result in an explosion if an ignition source is present. In February 1999, an explosion in a foundry in Massachusetts killed three and injured nine. Almost four years later in January 2003, an explosion in a North Carolina pharmaceutical plant killed six and injured 38. A month later, seven are killed in an explosion in a Kentucky acoustics insulation manufacturing plant and 37 more are injured; and in February 2008, an explosion at a Georgia sugar refinery left 14 dead, and 38 injured. What do all of these explosions have in common? Combustible dust fueled the massive explosions. Since 1980 there have been at least 350 such explosions in the United States, killing 133 people and injuring hundreds more. How much dust does it take to cause one of these explosions? According to NFPA 654, “As little as 1/32 of an inch of organic dust over 5 percent of a room’s surface area presents a significant explosion hazard.” That’s as thin as a paperclip.